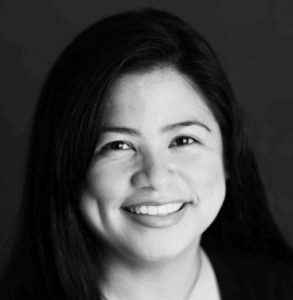 In our latest installment of the MetroMBA “5 Questions” series, we speak with Maria Pineda, the Senior Director of Admissions for the Full-Time MBA Program at the University of Maryland R.H. Smith School of Business. Pineda talks about the ideal MBA candidate, provides advice for getting accepted, and discusses unique opportunities at the school such as the Lead Fearlessly leadership development program. 1. What are you most excited about when it comes to the future of Maryland Smith? “Smith is becoming a hub for designing the future. Business is becoming more competitive, more complex, more global, and more innovation-driven. Information, data, and technology are driving huge societal changes, often in ways that we can’t anticipate. We are preparing students to lead fearlessly, not just in today’s world, but in the world we can’t even imagine yet. 2. What does your ideal MBA candidate look like? 3. 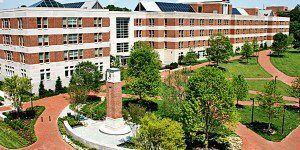 What is one thing a Maryland Smith MBA candidate can do for the best chance of getting accepted? “Take control of your story. It all starts with self-reflection—know what your goals are and what you want to do with your MBA. Present yourself as if it was a job interview. Give us a good overview of your career accomplishments so far, and a thoughtful take on what you hope to accomplish in the future. Be authentic through the process, even as you’re bringing your best self to the table. 4. What parts of the MBA program should more students know about before starting their graduate school career? 5. Why do you love living and working in Maryland? “Everyone knows about the many government agencies and NGOs headquartered in Washington DC, just seven miles from campus. But there are also many companies doing exciting work in biotech, defense, and cybersecurity. The job market is always fantastic (people say our local economy is recession-proof).